Tickets for all shows go on sale Friday, May 8th at 10:00 am local time. Meet and greet packages will be made available as well. 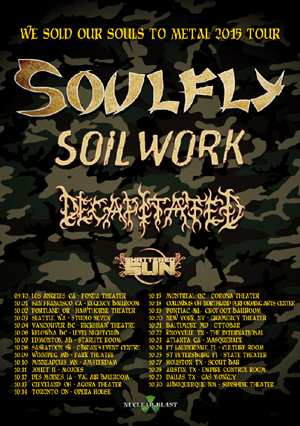 For more info and tickets visit www.soulfly.com.